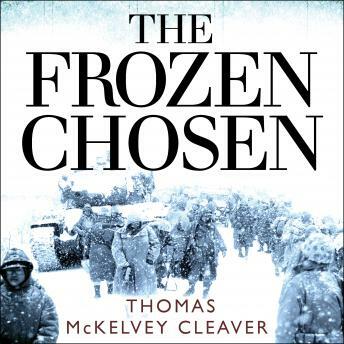 The Frozen Chosen is an account of the breakout from the Chosin Reservoir in North Korea by the First Marine Division from November to December 1950, following the intervention of Red China in the Korean War. Fought during the worst blizzard in a century, it is considered by the United States Marine Corps to be 'the Corps' finest hour.' Fourteen Medals of Honor, a record for any American battle, and eighty-five Navy Crosses attest to the intensity of the battle. Based on first-person interviews from surviving veterans who came to be known as the 'Frozen Chosen,' this is the incredible story of heroism and bravery in the face of overwhelming odds, as a handful of Marines fought desperately against wave after wave of Chinese forces. Sometimes forced into desperate hand-to-hand fighting in intense cold, cut off from reinforcements, and with dwindling supplies and ammunition, the fighting retreat from Chosin marked one of the darkest moments for Western forces in Korea, but would go on to resonate with generations of Marines as a symbol of the Marine Corps' dogged determination, fighting skill, and never-say-die attitude on the battlefield.